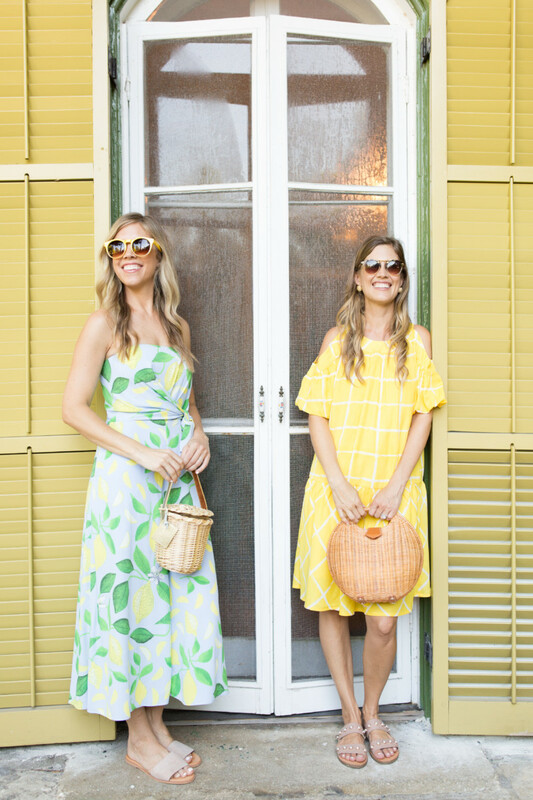 In yesterday’s fashion post, we talked about finding cute and practical outfits for the middle of summer. 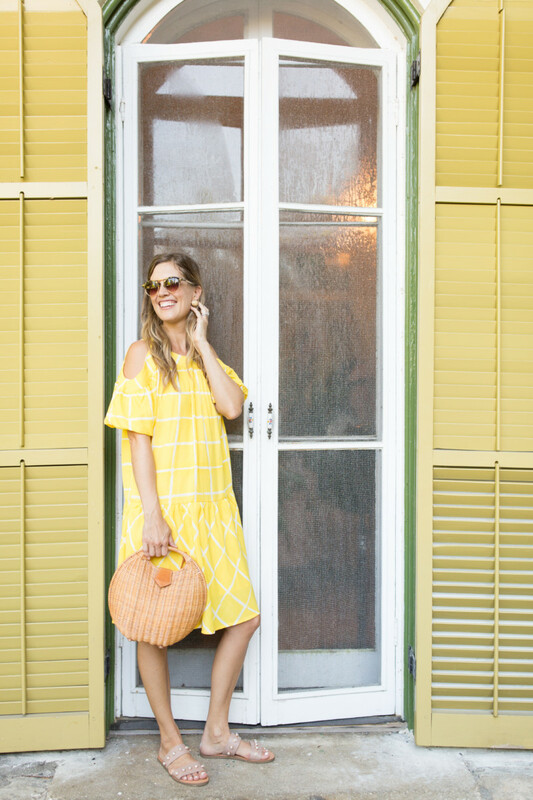 Tank tops, t-shirts and shorts are no brainers, but what about when you need a slightly dressier outfit and don’t want to sweat like crazy?! 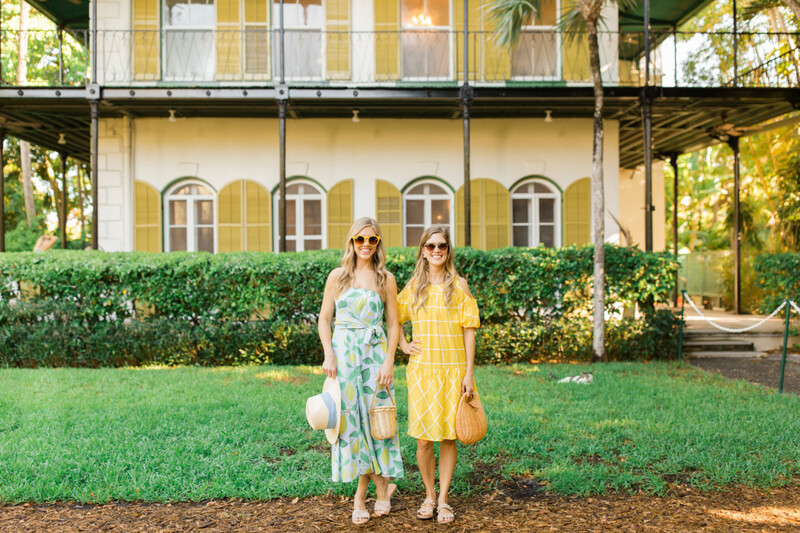 That can be a bit trickier, but thanks to trial and error, we’ve found that strapless jumpsuits and cold-shoulder dresses are two great ways to step up your style without sweating to death! 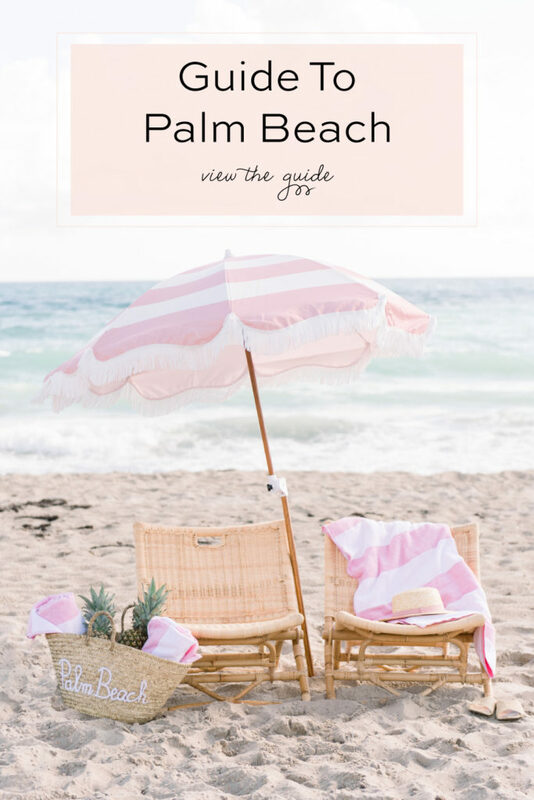 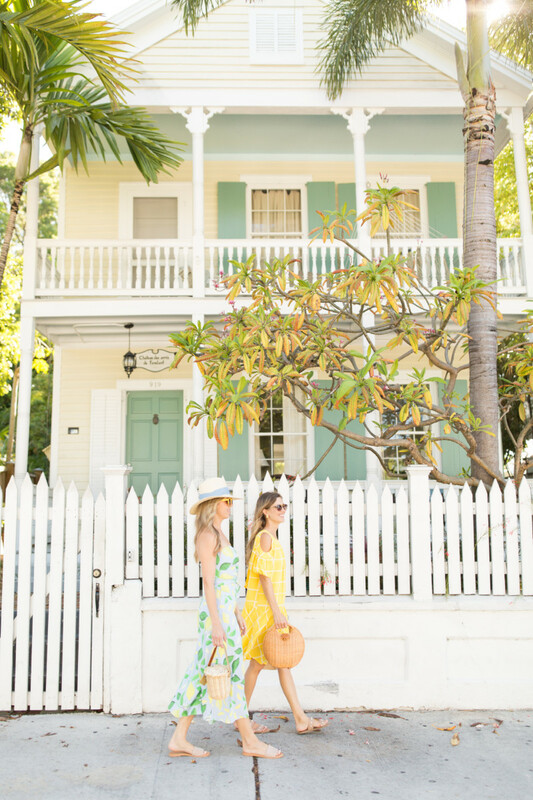 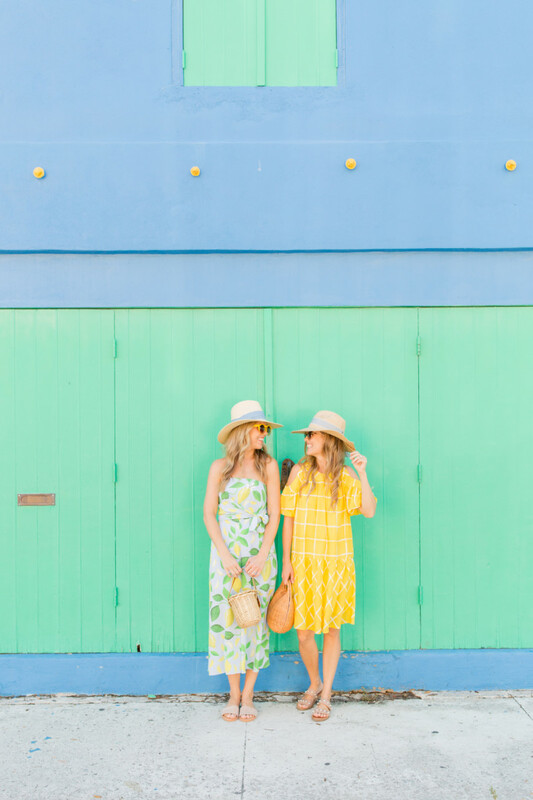 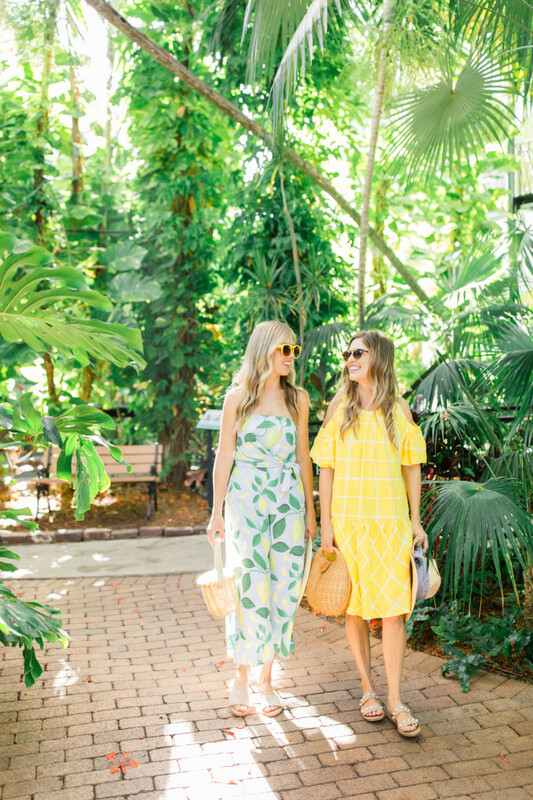 On this summer day in Key West, Beth paired this sunny yellow cold shoulder dress from Tuckernuck <obsessed with them!> with these pearl sandals, this hat and this wicker tote. 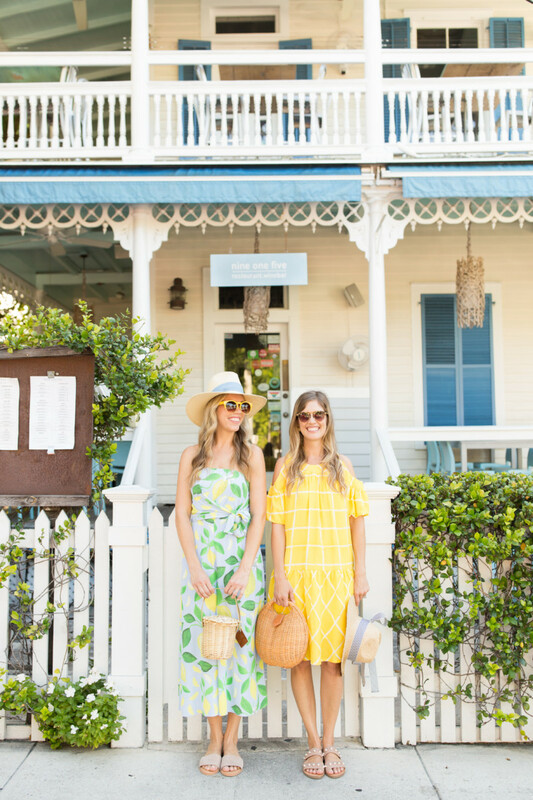 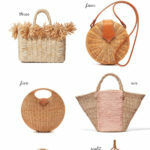 I wore a breezy lemon jumpsuit from Anthropologie <always a staple brand in our closets!> with my new mini Birkin basket by Amanda Lindroth <love this new mini size!>, these yellow sunnies <similar here>, this hat and these slide sandals. 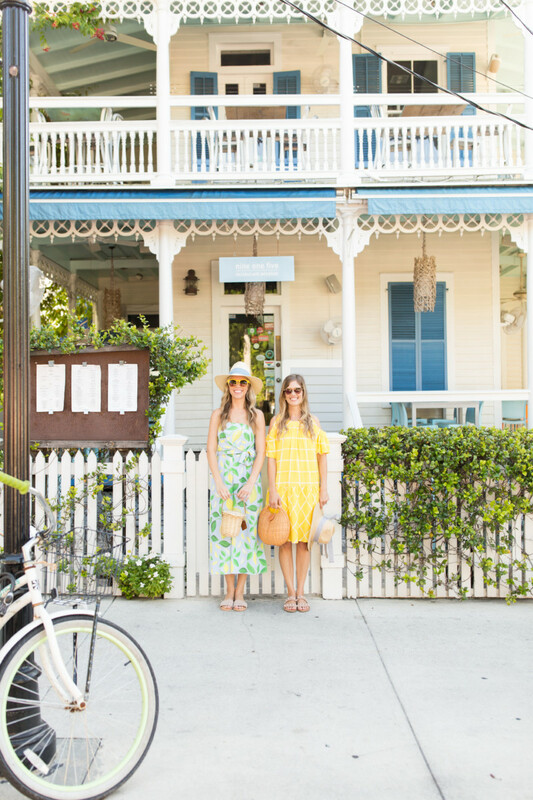 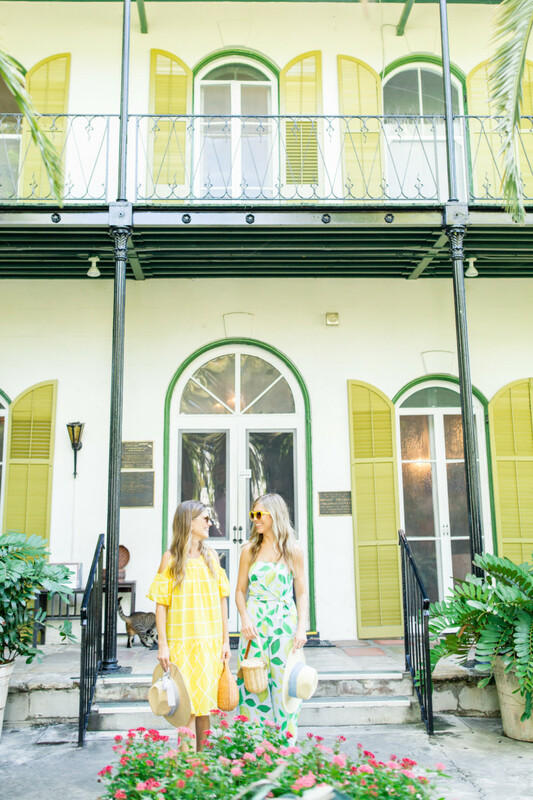 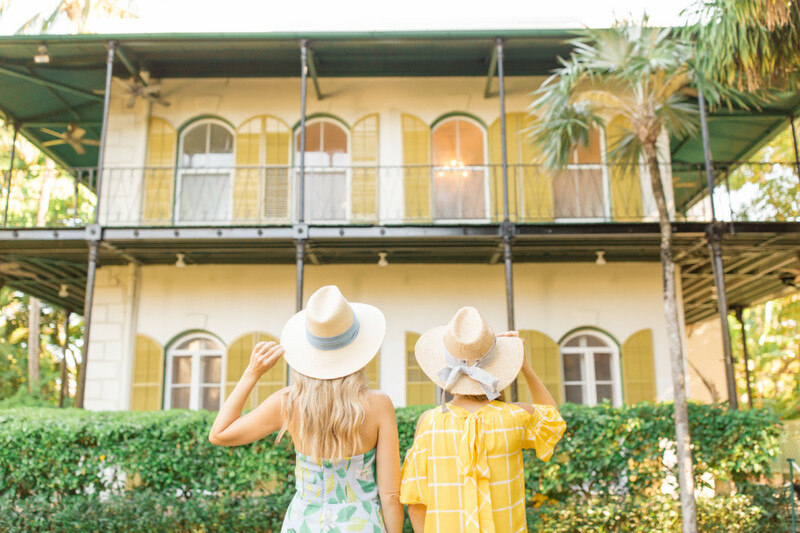 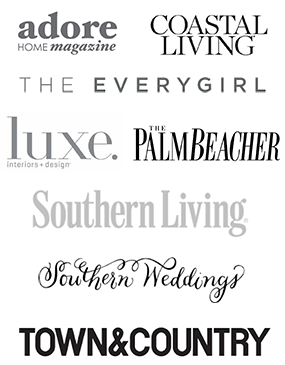 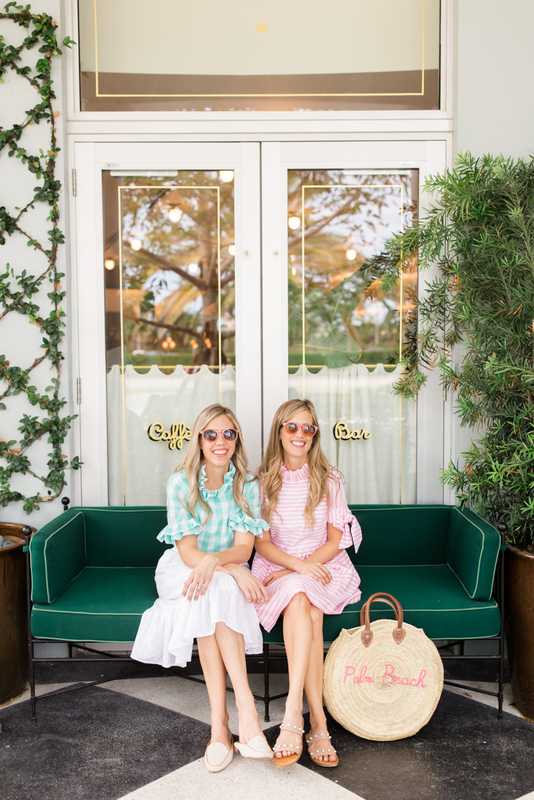 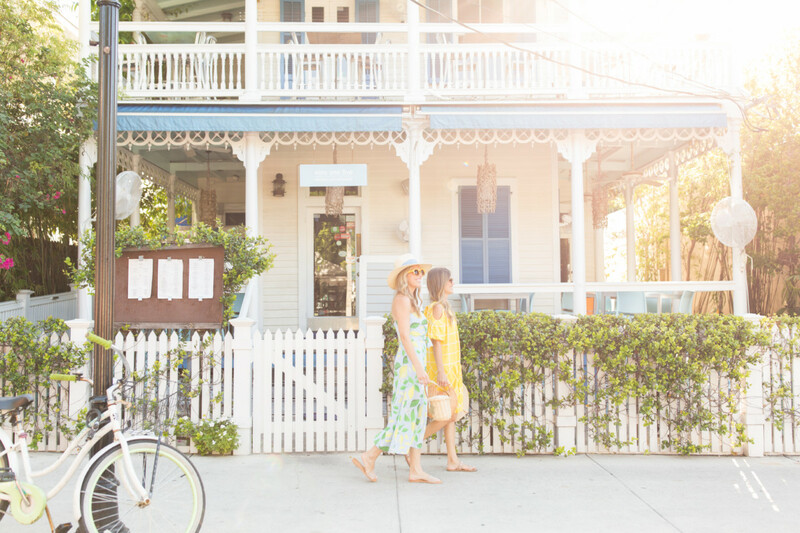 We walked all over Key West in these looks and both get gold stars in our books!